Do you remember how much you enjoyed eating watermelon as a child? I do, and I still love to eat it every summer. 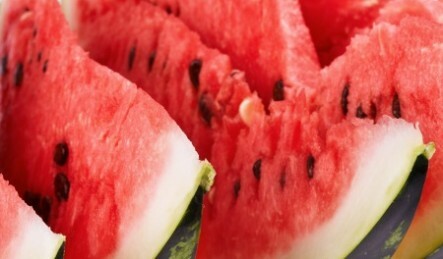 Watermelons are great for hydrating your body in the hot sun. That’s why watermelon is more than just refreshing and tasty. Watermelon is great for cleansing, weight loss and your health. Don’t let its lightness fool you; it’s packed with nutrition. Watermelon is an inexpensive way to help you cleanse your body and lose weight. A one cup serving of watermelon is only 47 calories. Yes, watermelon is 92 percent water but that other 8 percent is filled with good nutrition and amazing health benefits. Watermelon is recommended by the American Council on Exercise as a good choice of diet food. Fat cells contain toxicity and acid. Your body will not let go of fat cells while you are still acidic. It creates a diuretic effect (lots of peeing) as the toxins leave your body. Citrulline makes arginine which removes ammonia and other toxins from the body. Also, arginine boosts nitric oxide, which improves blood flow. This is why a watermelon detox works so well. 3. High in dietary fiber that helps keep the colon clean, helping cleanse your body. 4. Contains glutathione that helps improve liver function. This balances the high amounts of sodium in our diets which supports your kidneys and is great when cleansing. Watermelon is high is lycopene. Lycopene helps slow down the effect of aging caused by the oxidation in your body that causes wrinkles and blemishes. Inflammation contributes to conditions like asthma, atherosclerosis, diabetes, colon cancer and arthritis. Less inflammation means lower toxic load in the body. Bonus Benefit: Watermelon also has Viagra-like properties. Caution: There are many good medicinal reasons to consume watermelon, but remember not to over-consume it. When I was disabled for ten years, with a partly functioning digestive system and could only eat 12 foods, watermelon was a lifesaver for me. I eat half of a big watermelon daily. I am grateful for watermelons helping me on my journey back to health. If you are looking for a way to cleanse your body of toxins try a watermelon cleanse. A watermelon detox helps cleanse your body by removing body toxins that are slowing down your metabolism. 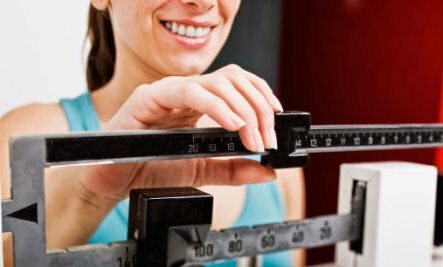 Ridding your body of toxins helps boost your metabolism. When wastes build up in your body, skin conditions like cellulite occur. It’s best to do preventative detoxes to get rid of toxins before this happens. Replace 1 Meal A Day with Watermelon. Some people try to eat only watermelon for a week or longer. This is too unbalanced, too cleansing and too restrictive for most bodies. It’s healthy and safe to replace a single daily meal with a serving of watermelon. Unless you are practicing a balanced cleanse with other fruits and vegetables alongside watermelon, like I teach in my 2-5-30 Classes, it’s safest to replace just one meal or, at most, two, with watermelon. 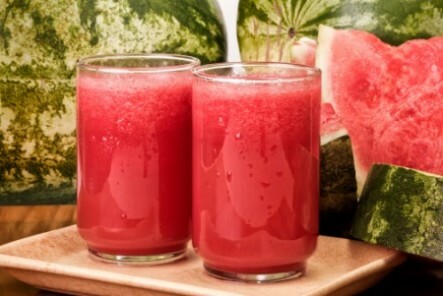 Watermelon Juice: If you need to alkalize quickly, this recipe uses the second most alkaline forming food. Delicious! Watermelon Soup: Simple to make on a hot summer day. Do you have other healthy recipes for watermelon or do you just eat it raw? Oh I just love watermelon! Thanks for sharing.